Trained as a medical practitioner at the University of Queensland, graduating in 1979. Have worked in psychiatry, as a Commonwealth Medical Officer, as a physician executive at The Prince Charles Hospital and then for 17 years at The Queen Elizabeth II Jubilee Hospital where I managed the clinical aspects of an urban general hospital active in surgery, gynaecology, urology, orthopaedics, general medicine, geriatrics and rehabilitation, palliative care and emergency medicine. I am currently the Deputy Director of Medical Services at the Princess Alexandra Hospital in Brisbane. 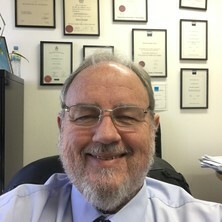 Apart from my medical degree, I have academic qualifications in business administration (BBus-Health Admin with Distinction/QUT), occupational health and safety (Grad Dip OH&S / QUT) and information technology (Grad Dip IT/USQ) and hold specialist registration with AHPRA in Medical Administration (FRACMA). I have worked with Standards Australia on health concept representation, clinical decision support and electronic health record interoperability. I have been an Australian representative with IHTSDO on the Quality Assurance Subcommittee and the Content Committee. I am a NEHTA Clinical Lead and Advisor and active in the classification and terminology aspects of e-health, though most recently have progressed my long-standing concern for safe information technology and systems in health. I have taken on the role of Co-Chair for the Australian Clinical Terminology User Group. I am passionate about holistic safety in health care, decision support in clinical IT systems and safe design. I have enjoyed a long journey in eHealth since 1999 when I started out in this area as a member of The National Electronic Health Record Taskforce. Along the way, I have become increasingly interested in knowledge for its own sake and how we as humans deal with it, use it, store it, communicate it and transfer it. How we might deal with the tsunami of information flowing our way is forming a part of a postgraduate research proposal I am contemplating, if Alzheimers does not get me first. While an enormous area of study it seems to harmonise well for me with my interests in capturing concepts and moving them interoperably (is that a word?) between individuals. How will society cope with the flood of information, so called 'infoglut' streaming into our societies. What can we learn from the past, the sciences, neurosciences, evolution, languages that might assist? What is the impact if we fail as both individuals and groups to integrate these knowledge silos effectively and with understanding of the ethical implications. Electronic health care systems will not be any safer in some respects from the written record at least in the next few years. We need to identify the likely causes of errors both visible and hidden that will impact on the clinical well being of patients in to the future.